Autism spectrum disorder better known as ASD is a developmental disability defined by a certain set of behaviors under DSM-V. Because autism ranges in severity among the affected, it is best defined as a “spectrum disorder”. 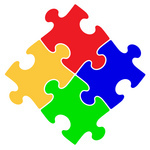 Autism is recognized by a puzzle piece representing the mystery and complexity of the disorder. 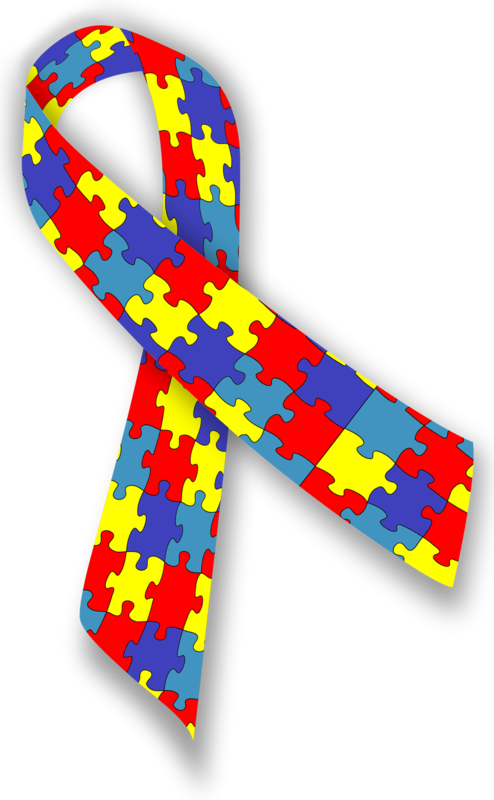 The spectrum is characterized by the brightly colored puzzle piece ribbon to signify the diversity of the disorder. Autism affects individuals differently and to varying degrees. From being MILD to SEVERE, no two persons are alike. At this time there is STILL NO known single cause. There is NO blood test to diagnose. What we do know is that, knowing the signs are critical to increased awareness. BLUE. A single BLUE puzzle piece highlights that it affects individuals. Blue is the sign of Hope. 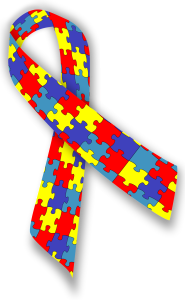 Autism occurs in ALL racial, ethnic and socioeconomic groups. It knows NO boundaries. GREEN. A GREEN puzzle piece characterizes the ties to science. Autism is a complex Bio-Neurological developmental disorder that typically appears during the first three years of life. It affects a person’s ability to communicate and their ability to interact with others. Persons with autism can often be described as being “socially awkward” having deficits in social common sense and lacking the ability to initiate conversation. People with autism are known to “think in pictures”. Generally with heightened sensory response, some, not all – may even retract from physical contact. autism is five times more common among boys than among girls. RED. The RED puzzle piece encourages you to stop: “Learn the Signs. Act early.” This is a campaign to raise awareness.